The NJ Nets were back at home after a humiliating loss by 30 at the Miami Heat Tuesday night to face off against the upstart LA Clippers. The Rock was packed for this game with the “Blake Show” in town and the Nets fans got one helluva game from the home team. The Nets were a horrid 3-13 at home going into last night’s battle with the Clippers and they know they have to start winning at home as 10 of the next 13 games will be at the Rock in Newark. Trying to break 7 game home losing streak the Nets looked to get MarShon Brooks into game early and Stevenson started the game on Chris Paul to put pressure on the ball. 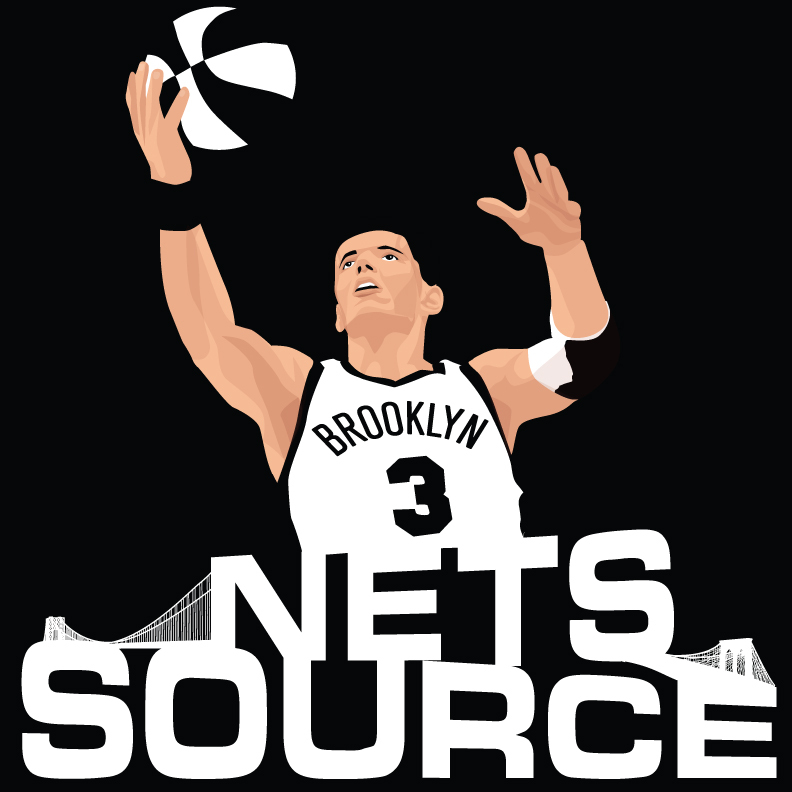 It looked to be a good decision by Avery Johnson as the Nets avoided one of their notorious bad starts as Kris Humphries and the entire front court was ready for the battle inside and Brooks led the Nets with 9 first quarter point and the Nets led 27-22 after one. Jordan Farmar extended the lead in 2nd with two quick three pointers and Shelden Williams continued playing well as he and Humphries matched the Clippers physicality and with that mindset the Nets started to have fun a little as Gerald Green came in and got one of his famous alley oops from Farmar and the crowd went nuts as they got turnovers that led to easy buckets and dunks for the home team. The bench was exceptional in the 1st half and seemed to put the previous night’s drubbing behind them as Brooks ended the half with a buzzer beater to give him 14 first half points and the Nets went into halftime feeling good with a 57-45 lead and shooting a shocking 59% from the field. The world was good for at least a half at the Prudential Center. Deron Williams came out and heated up to start 3rd quarter and got the Nets out to an 18pt lead midway thru the third quarter as the Nets were clicking. The Clippers went small to try to change the momentum and brought in seldom used Eric Bledsoe and put him on Deron Williams along with Paul and Mo Williams on the floor. The game continued to be very chippy and the longer it went on with Humphries going back and forth with Griffin the game drew closer. Shelden Williams did a masterful job of battling Kenyon Martin and Jordan in the paint and the refs tried to calm the game down by accessing double technicals to all four bigs. Griffin had a couple of lobs early in the game and then Hump went up and made an amazing block of a lob to Griffin and the crowd was beside itself. Griffin returned the favor to Hump later in the game but the battle raged down load all game. The Clippers trimmed the lead down to 9 after three quarters and the fourth quarter start red with the Nets up 80-71. The fourth started slowly for both teams and the play was sloppy with both teams clanking shots and once again the refs tried to take control of the physicality down low. Nets added to their league leading stat of being fouled 29 times while shooting a 3 as Williams and Morrow once again got the calls and went o the line for three free throws. Farmar had a big bucket to end the third quarter to swell a bit of the emotion of the Clippers and his shot was falling from the beginning. (Hint – good sign) The Nets began the fourth quarter slowly and went 1-12 and the game went back and forth throughout the quarter and Hump and Griffin got tangled up again and this time Griffin got the worst of it as he turned his ankle on a scramble for the ball late in the game. Griffin managed to continue playing and the Nets decided to go to the “hack a Griffin” option and fouled him intentionally with a little over 2 minutes to play. The Clippers came roaring back late in the game as Paul and Randy Foye made big shots and the rookie also helped by fouling Foye on what appeared to be a three pointer but was called a 2 pointer later. The Nets led by two with 30 seconds to play and Shelden Williams jumped a screen and fouled Chris Paul with less than 10 seconds to play and he hit both free throws to give the Clippers a 100-98 lead with 8.9 to go. Avery Johnson quickly called timeout and drew up a play for Deron Williams and when he drove he was double teamed and the ball was kicked out of bounds near mid court and the nets did not have anymore timeouts. Farmar inbounded the ball and Williams was immediately doubled again and Deron Williams dropped a beautiful bounce pass to the “inbounder” Farmar and he stepped into a gorgeous three pointer and hit nothing but the bottom of the net to give the packed house a HUGE jolt and a 1 point lead with .02 seconds top play. The building erupted in hysteria as JayZ sat and witnessed a huge shot by Farmar and after a timeout the last second lob attempt went astray and the Nets came out on top with a big 101-100 victory at home in front of a raucous crowd. This was definitely the most dramatic win at home this year and the fans loved every minute of it. The win at home was a big one with the upcoming schedule being very “home heavy” in the next few weeks and Deron Williams knew it . Here’s hoping the Nets can get a run together at home and make a playoff run. Nice job Farmar….well done!